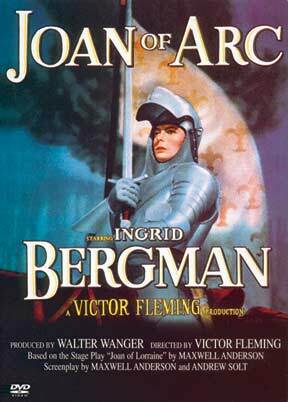 This is the Academy Award-winning film starring Ingrid Bergman as St. Joan of Arc. Bergman gives a splendid portrayal of the French farm girl who, inspired by divine forces, led the French army to victory against the English. A mammoth production with lavish color and a cast of thousands. Also starring Jose Ferrer. 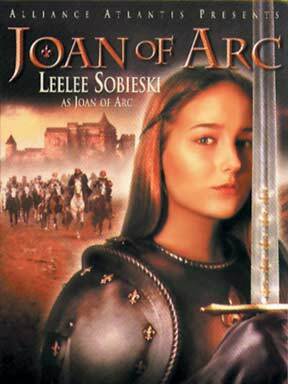 As the English raided the countryside villages of France in 1425, 13-year-old Joan began hearing voices that demanded she bring peace to war-ravaged France. By 17, she had convinced the leaders of France to grant her an army. She fearlessly mobilized her troops on a quest that stunned the English invaders and brought about the coronation of the French heir to the throne. At 19, Joan was convicted of heresy and sentenced to death. This special was filmed on location in France and the Czech Republic. For the first time, viewers can see Joan's life unfold through her own eyes and based on her own words, and experience the powerful grip of faith that inspired her to lead. Barbara Hall -- creator and executive producer of the television series "Joan of Arcadia" -- comments on Joan’s life. Additional commentary is provided by Leo Braudy, Professor of English at University of Southern California, Françoise Meltzer, Professor of the Humanities, French and Comparative Literature at the University of Chicago, and Jane Marie Pinzino, Co-Founder of the International Joan of Arc Society, Alfred Molina narrates. Faith & Values Media's original docudrama was directed and produced by Emmy Award-winning filmmaker Pamela Mason Wagner, who earlier brought the lives of Saint Francis of Assisi and Saint Patrick to television for Faith & Values Media, both of which won prestigious CINE Golden Eage Awards and a number of other major national awards. All three docudramas have aired in prime time on national television. 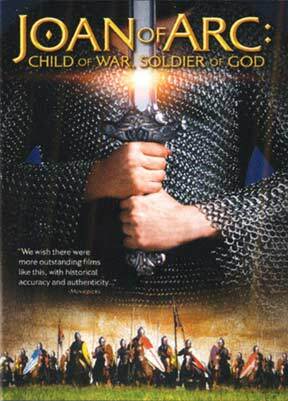 The executive producers of "JOAN OF ARC: Child of War, Soldier of God" are Edward J. Murray and William Spencer Reilly of Faith & Values Media and Jeffrey C. Weber of Lightworks Producing Group. A discussion guide for this program can be downloaded at FaithStreams.com.